South by Southwest (SXSW) is an annual conference of film, interactive media, and music. Running every year in Austin, Texas since 1987, TheTin have been in attendance for the last 3. With over 3,000 sessions we couldn't possibly see it all. 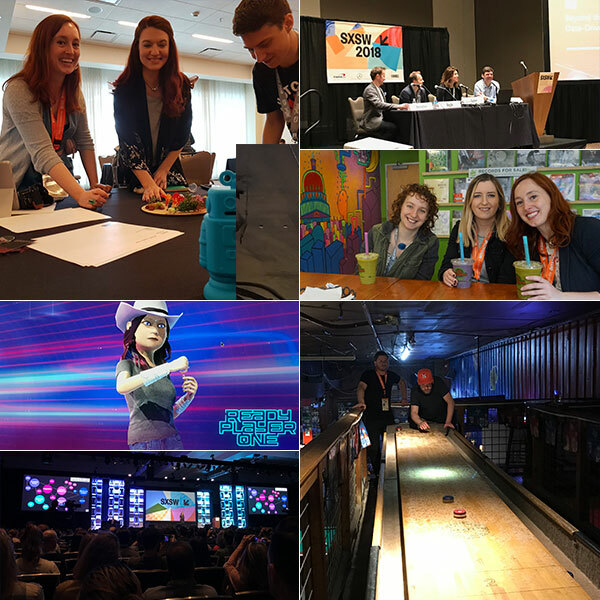 If you missed our Tinnovation Live, here’s a recap of some of what we found interesting at SXSW 2018. As a Brand & Technology agency it’s that second part which excites. Whilst we’re all fans of cutting edge technology, it’s what you do with it to deliver more that counts. And technology is increasingly enabling more personal conversations through a whole variety of new ways. "2018 is the beginning of the end of smartphones"
Now that's a bold claim, but for the first time, the global sales of smartphones have peaked. Within the next 10 years, conversational and non-visual UIs will enter the mainstream. But several things are needed for that to happen. We saw advances in multiple existing areas, and one new one too! Machine Reading Comprehension (MRC), the ability for AI to process not just data, but language, is massively important for the next evolution in interfacing with computers to happen, and it's a fast moving space. Voiceprints are another interesting technology we've been keeping an eye (or is that ear) on. Your voice is unique, but can change depending on a raft of factors: mood, location, environment. Not only could your voice be used to log you in to a service, but picking up on these inflections could help personalise experiences even further. The big new buzz was Hearables. In ear devices that can pick up information not just about you, but also the environment. These devices can allow you to focus in on one voice and even hear footsteps from behind you. For brands there will be opportunities to build experiences… imagine advertising whispering in your ear as you walk past a store, interacting straight back with your voice, and having a contextual conversation with a brand before you even enter a physical space. And with these new ways of interacting come new design challenges. Every day we use words like 'features', 'functionality', 'interactions', 'usability' and so on. But these are all focused around the product itself. 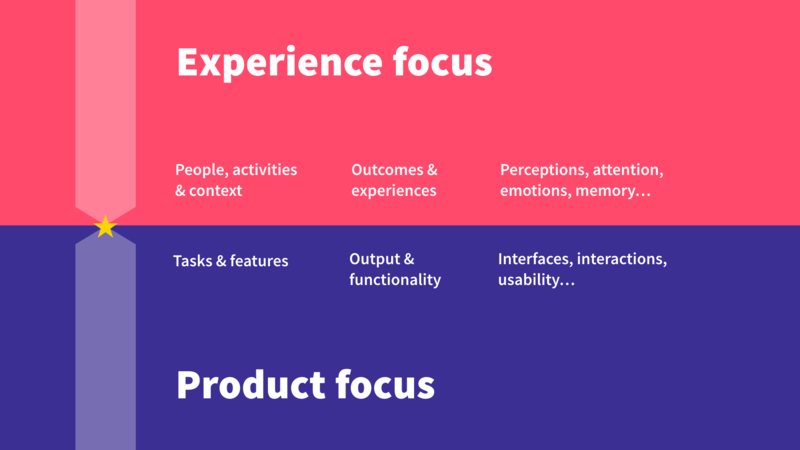 To create user focused experiences we should also be looking at their context, what the experience we want them to have really is and more emotional considerations - their perceptions, attention and memory. We put a lot of effort into creating seamless user experiences. In UX design we want to remove problems and friction from the user, but, there is a difference between bad friction and good friction. Adding small elements of friction shouldn't block the user, instead they can, prevent users from making bad decisions, engage and empower users and make them feel better about their decisions. "More personal conversations means refocusing on the individual and their needs, not on the tech." Of course an interface to content is only useful if the content itself is what the user seeks. One exciting concept is that of Atomised Content. This looks at how content can be broken down into its component parts to help users engage, serving the key information a user may need at any time based on (amongst others) devices, location, lifestyle, age and preferences. It's not just about making the content more relevant, but how we can make it more useful. We also saw examples of engaging users with content by turning it into conversations. It challenges brands to deliver relevant and contextually meaningful multi-sensory brand experiences at more touch points in more ways - easy huh! In the meanwhile should you wish to know more about any of these topics, please get in touch. 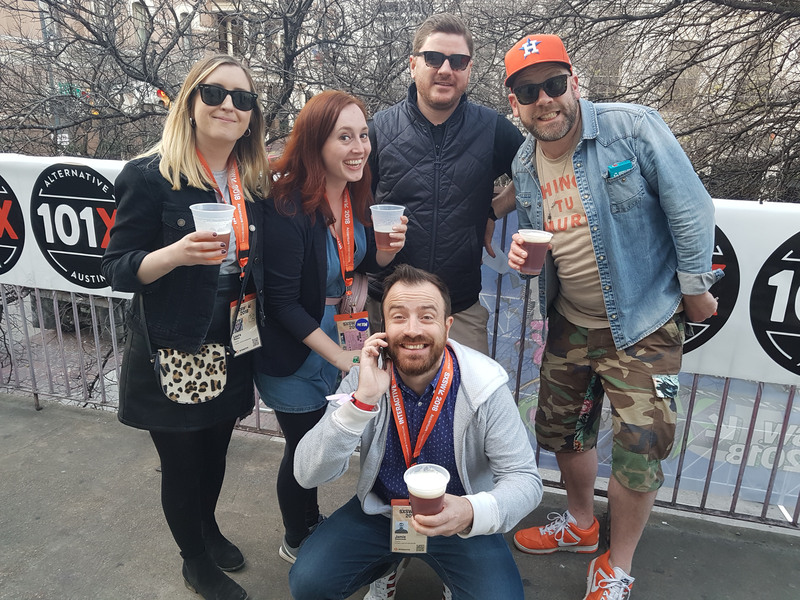 TheTin SXSW team presents their key findings from SXSW 2017 in a Tinnovation Special.